Steemit is a social media platform that works by having the crowd reward the crowd for their content. It does this thanks to the Steem blockchain and cryptocurrency; Steem is 'minted' daily and distributed to content producers according to the votes they get. 1. Go to www.steemit.com. Click Sign up. 2. Make account name. account name must be unique to all steemit user. This is how you will be known on steemit.com. 3. Enter your email address. This is use to verify and contact you. Confirmation email will also be sent to this email address. 4. Enter your mobile number. Steemit is open to all country. Mobile number you enter here must be active. A confirmation code will be sent to this number number to avoid spam registration. Click continue. 5. Enter confirmation code. This is a 5-numerical code from your mobile number that you have entered at step 4. 6. Once your mobile number is verified, a confirmation link will be sent to your email address. Click the link to continue your registration. 7. Steemit will validate your registration for approval. As soon as your account approved, you will receive a link to finalize your account. Signup requests can take up to 7 days to be processed, but usually complete in a day or two. 8. 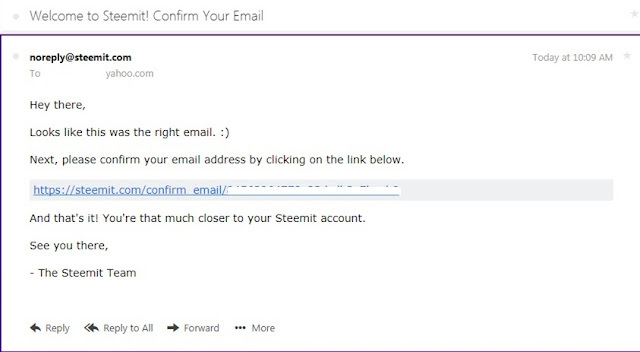 You will received an email from steemit once you approvel. Click the link provided to finalize your registration. 9. There are some items that you need to accomplish to start with your profile. Very important to backup your password, Steemit password is too long and you can't retrieve your password when you forgot it. Just keep it safe. 10. Create your "introduceyourself" post. This must be your first post. You are need to post about yourself to get known by the community. An introduction about your profession, hobbies, etc. will work to stand out. Proof maybe needed to verify it's really you. Many Steemit users have been writing "Hi Steemit with the date" and it has been successful. Remember, first impression matter. Congratulations, you are now in Steemit and enjoy the community.